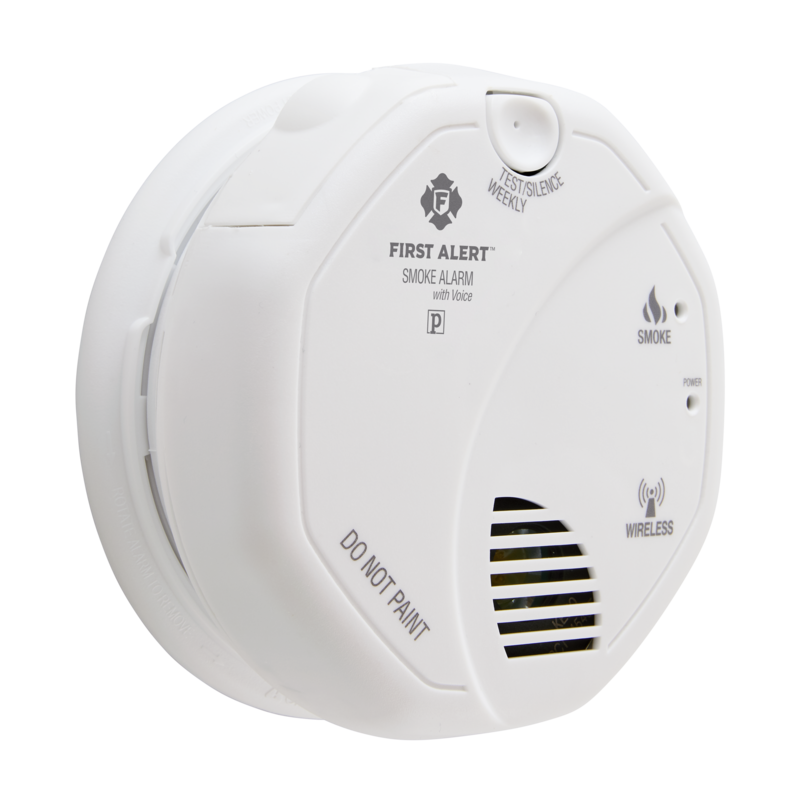 The First Alert SA511CN2-3ST Interconnected Wireless Smoke Alarm with Voice Location features an 85-decibel siren and voice alarm that tells you where the danger is located. A photoelectric sensor detects smoke while minimizing false alarms from cooking or shower steam. Interconnected smoke detectors in different locations are designed to work together, with one alarm triggering the other alarm during a fire, helping to provide the earliest warning for your family. The First Alert Interconnected Wireless Smoke Alarms communicate wirelessly with each other. When one alarm sounds, the other alarms sound as well, alerting you to a fire in the basement even if you are in the attic. Most alarms feature just a siren. The First Alert Interconnected Wireless Smoke Alarm features a voice alarm with 11 pre-programmed choices that tell you where the danger is and warns you to evacuate. It also uses an 85-decibel siren, helping to ensure that even the soundest of sleepers don’t sleep through the fire alarm. Requiring no wires or an electrician to install, the First Alert Interconnected Wireless Smoke Alarm runs off two AA batteries. It will continue to monitor your home for fire even in the event of a power outage. The unit has a low battery indicator light and will chirp when it’s time to replace the batteries.